As new equipment prices continue to rise and environmental restrictions become more prevalent, we feel that keeping your present heating and cooling system in top-notch condition is more important than ever. Preventative Maintenance is the key to saving money! 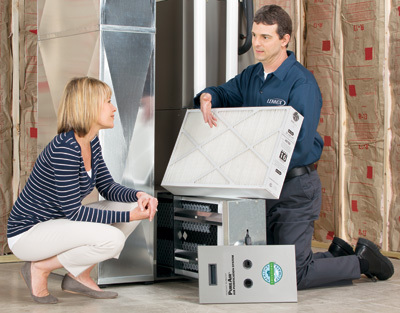 Did you know that by changing your filter regularly you can save money? A filter that is clogged with dust, pet dander, and other particles will cause your unit to work harder because of decreased airflow. When this happens, you will need to make repairs more often to replace worn out parts. Over time, the useful life of your unit will be reduced as a result. You need Preventative Maintenance to keep your unit in top-notch condition so you can save on your utility bill and keep your equipment running efficiently.